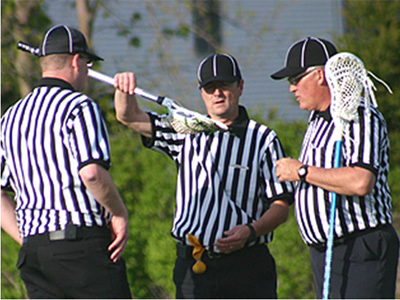 Interested in learning more about Lacrosse Officiating? Just want to learn more about the rules of Lacrosse? The time is 9 a.m. until 4:30 p.m. We will have breakfast snacks as well as lunch (pizza and drinks) served. The clinic is free as long as you are a current member of U.S. Lacrosse. Adults and high school aged members can register. Spread the word and register ASAP through the U.S. Lacrosse website! External links are provided for reference purposes. SHENANDOAH VALLEY YOUTH LACROSSE is not responsible for the content of external Internet sites.